In my 20-plus year teaching career, I have focused on strengthening practice of myself and others. As a teacher leader, I have served as a mentor to many beginning teachers, have delivered professional development to other educators on a variety of topics, and serve on my State standards board. Implementing training aimed at anti-bullying and harassment is a key part of the professional learning that I provide. In addition, I assist others in developing strong classroom management skills and am a trainer for the Charlotte Danielson programs implemented in my state. I fervently advocate for a supervision and evaluation model that is supportive and that provides ongoing and regular supervision and feedback by master level teachers who act as mentor/coaches. I recognize that schools are not adequately staffed to implement such a model. From the Secretary of Education to our local Superintendents, we are told that lack of funding is the greatest road block to such models. Therefore it is vital that funding mechanisms be put into place requiring schools to make good use of our most experienced teachers. This I believe is the best guarantee to increasing student’s outcomes, keeping good teachers in the system, and retaining new teachers. 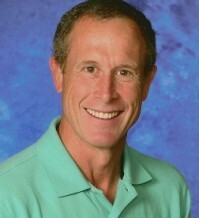 Jay Hoffman is Vermont’s 2013 State Teacher of the Year and has been recognized through numerous award programs for his innovative incorporation of technology into instruction. He was appointed by the Governor to the state Standards Board For Professional Educators, overseeing the training, licensing, and professional standards of teachers/administrators.